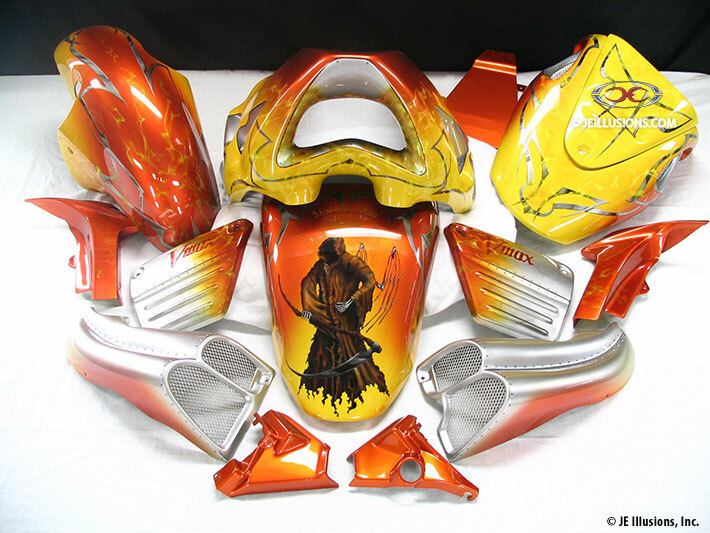 Beautiful full body paint job featuring a very detailed broken-winged reaper holding a scythe is the main focus on this Vmax. 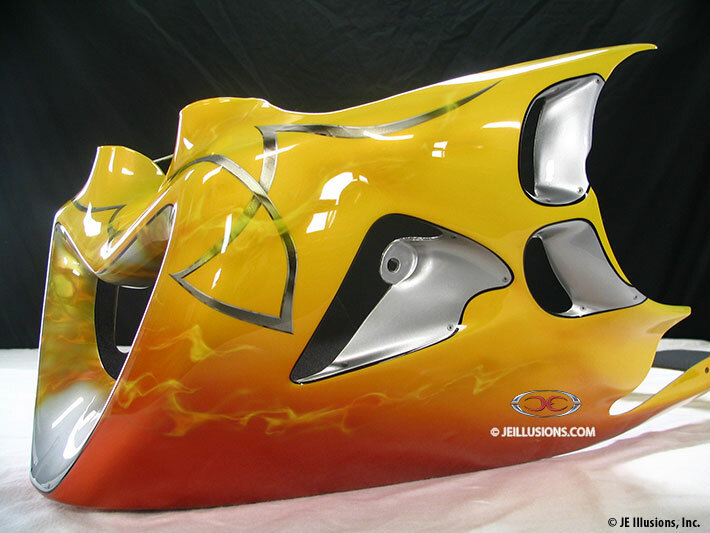 This is surrounded by a blend of high gloss Ultra Orange and Yellow making up the under-base. 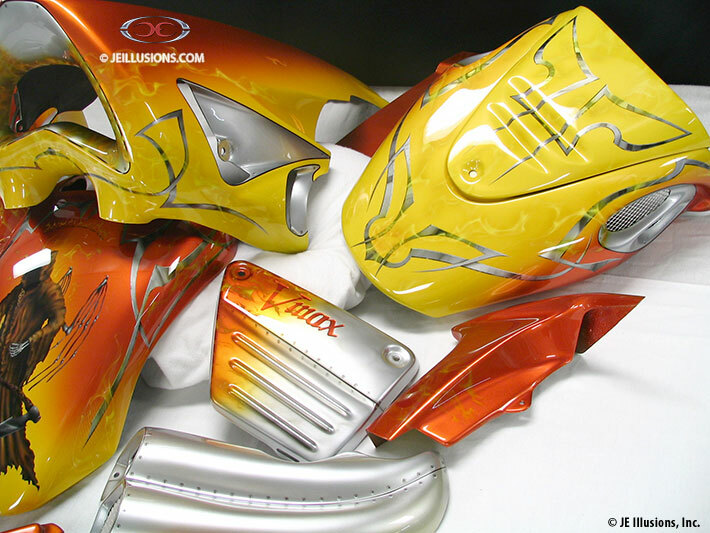 An airbrushed, silver shaded bevel edged blade design trims out the paint job. All of this is highlighted with Yellow realistic flames flowing in and out of the design to add even more depth and detail. 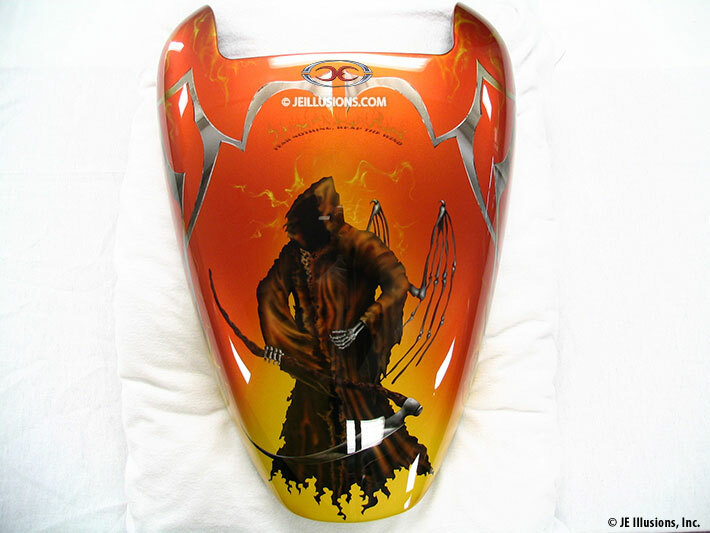 The top of the gas tank includes fine lettering over the reaper with small flames coming off the top of the letters.